We all remember our college marketing class and learning about the 4 P's of marketing: product, placement, price and promotion. But, you may not know the 7 P's of government sales. Over the course of the past decade helping companies win government contracts, these 7 P's have proven essential time and time again. The next time you decide to pursue a government opportunity, I suggest you run through this checklist too. Priority: To begin, always make sure that there is demand for your product or service. You can find out this information in several ways: review the agency's strategic plan, review relevant legislation, speak to government officials, and attend meetings. Another important aspect of your research is to determine whether an existing government contract already exists for your product or service. If so, your competitors may already be gaining market share. Pocketbook: You may have the product or service that the agency needs, but a government agency cannot purchase your product or service if it does not have the funding. Take a look at the current budget or speak to a government official about the available funding. For instance, what is the agency's annual budget for operations, or has the agency requested an earmark or appropriation for a particular project? Positioning: Creating a concise and compelling value proposition that is tailored to the government agency's needs is critical. Why is your product or service better than your competitor; why should the agency work with you? Spend time making sure that you have a clear statement of how you can add value to the government official. People: If you cannot convince the end users and middle managers that your product is valuable, you are in for a tough road ahead. While the end users aren't the agency executive team, they have a voice - an important voice. And, if you ignore them, they could persuade agency leadership to dismiss your product or service because it is not what their agency wants. Politics: Politics exist in any organization, even government agencies. Because government has multiple branches and a variety of stakeholders involved in any one program, you must be mindful of influence and buy-in. Process: You can have everyone lined up in support of your product or service, but find yourself with no contract vehicle. Perhaps the contract has already been bid. Or, perhaps your business model is unique and does not fit into standard contract terms. Regardless, without a contract, you cannot sell to anyone. 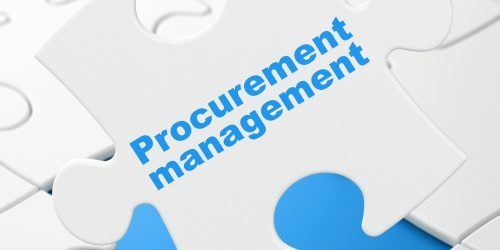 As a result, make sure you pay close attention to the procurement process and speak to procurement officials early on. Patience: And finally, there is patience. Managing to get the previous 6 P's lined up in your favor takes time. Typically, the public sector sales process takes 1 to 3 years. So, if you plan to sell to government, always remember that it will not be a quick sale.